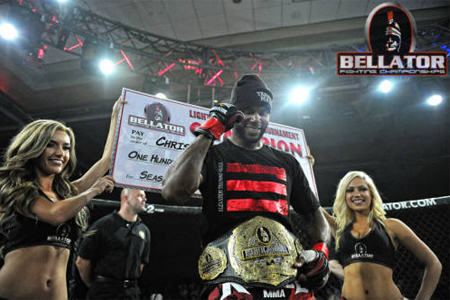 The official weigh-ins for “Bellator 55” took place Friday at the Cocopah Resort and Casino in Yuma, Arizona. Tomorrow’s show features the semifinals of Bellator’s Bantamweight Tournament. In addition, light heavyweight champion Christian M’Pumbu (Pictured) will battle veteran Travis Wiuff in a non-title affair.